You see a lot of wireless speakers popping here and there. There’s a wireless speaker that fits for every occasion, and it comes in many sizes. This time, we’ll feature five wireless speakers that fit comfortably in your pocket, or you can clip them to your pants or bag like a keychain. These small and portable speakers may be small, but they’re packed with BIG features and BIG sound that’ll blow you away. Toss any of these speakers from your pocket anytime, and enjoy music at any moment you want to. The JBL Clip 2 wireless speaker is a round speaker with an attached clip at the top so you can securely attach it to your belt loop or bag. But since it has 3.7 x 2.6 x 5.5 inches, you can also keep it safe in your pocket. The JBL Clip 2 wireless speaker is a water-resistant speaker with an IPX7 rating. You can securely let it from your pocket and play music even in wet places. You’ll never have to worry about attaching wires to it since it plays music through a Bluetooth connection. Plus, it has a battery that’s rechargeable and can give you a playtime of 8 hours. Wire-free! 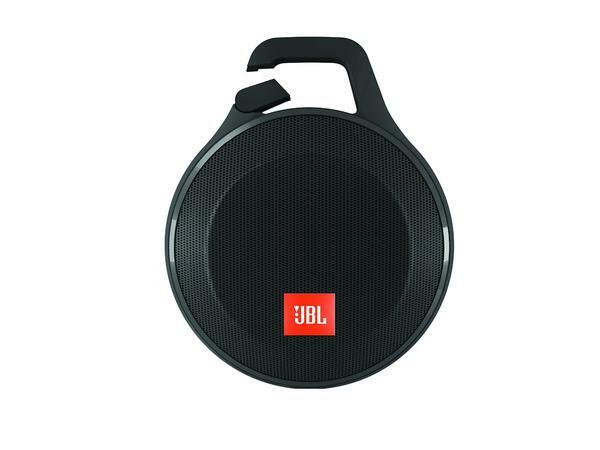 If ever you have a phone call while streaming music from your smartphone, the JBL Clip 2 has a built-in speakerphone so you can answer calls with the speaker. A line-in cable is attached at the bottom of the speaker where you can also keep it if you’re not using it. What makes the JBL Clip 2 more interesting? It has a big, full sound that sweeps your music needs away. The bass response is satisfying for those who love to play upbeat songs. Songs from other genres also play well with this small speaker that can fit soundly in your pocket. 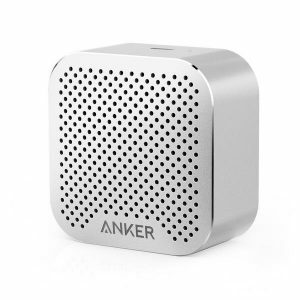 The Anker SoundCore Nano Bluetooth speaker is a tiny speaker with a 2.1 x 1.1 x 1.1 (LWH) dimensions that fits neatly in your pocket. It embodies a square covered with an aluminum-alloy to perfect a sleek design. 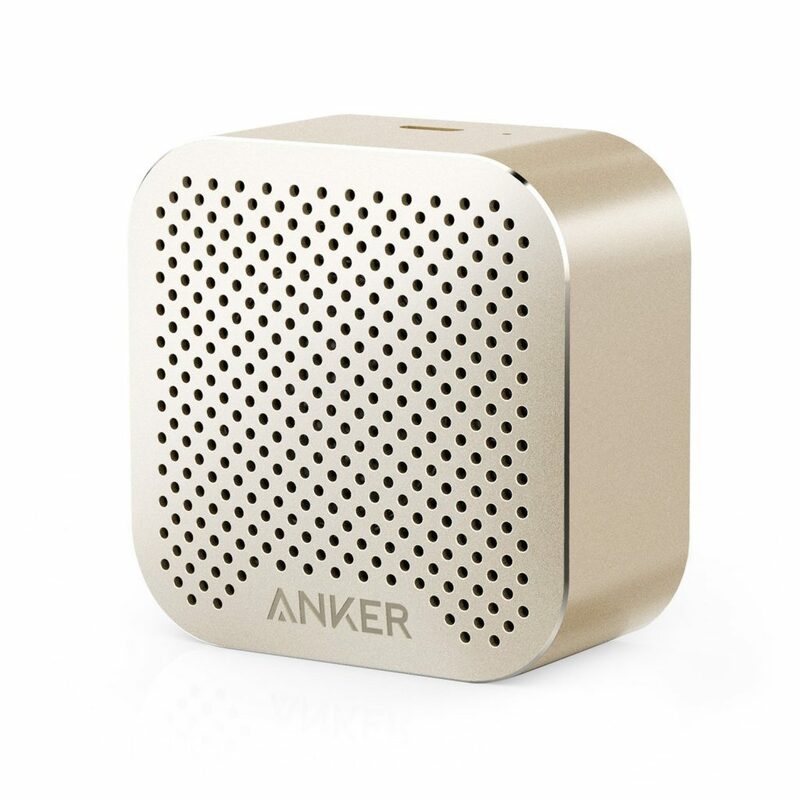 Get a gold, gray, silver or pink variety of the Anker SoundCore Nano to match your phone and personality! It has a hand strap you can detach so you can also hang it anywhere. Bring it in your pocket anywhere so you can always be ready for some music session. It offers music enthusiasts a clutter-free experience with the Bluetooth connection that operates up to 33 feet distance from your smartphone. 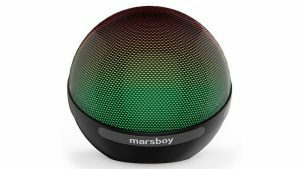 This speaker isn’t dependent on a power supply since it has a rechargeable battery that gives you total portability for 4 hours. It’s a small speaker, but hey! The sound production is clear and loud enough with its 3W audio driver. You can listen to your favorite songs with satisfaction and comfort. The Marsboy Bluetooth speaker can sit nicely in your pocket with its 1.8 x 1.8 x 1.8 inches dimension. 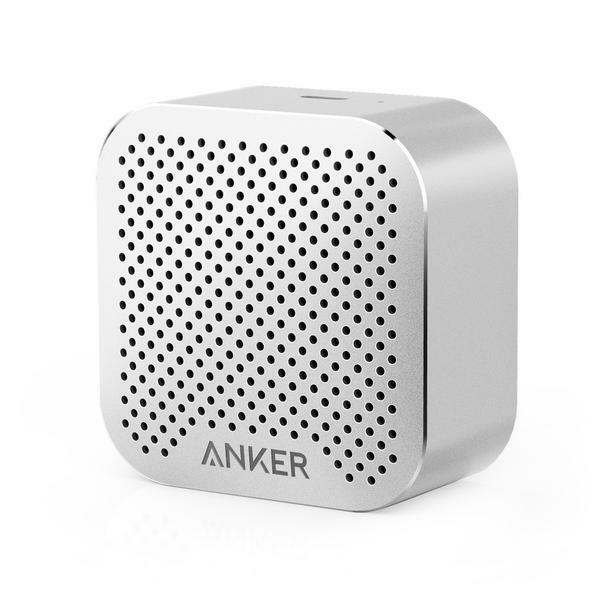 A music-ready pocket speaker is what you’d need especially if you’re a traveler. The upper part of the speaker is covered with a sleek aluminum shell, and it has a clear base. The bottom portion of the speaker has an anti-slip rubber to keep it in place. This powerful speaker integrates a Bluetooth 4.0 version so you can play songs from your smartphone without having to attach any annoying wires. You’ll go crazy with the rechargeable battery’s power. You can continuously play music for straight 12 hours at a considerable volume! That’s about 300 songs played all day long. You can hardly find a small speaker with that battery power. What makes this small wireless speaker a great catch is that despite its small size, the audio production isn’t bargained at all. Underneath the mini speaker is a 4-watt rate power with an enhanced bass resonator to give you a mind-blowing music experience. The full, clear sound quality with great bass makes you wanna play music for the whole day. 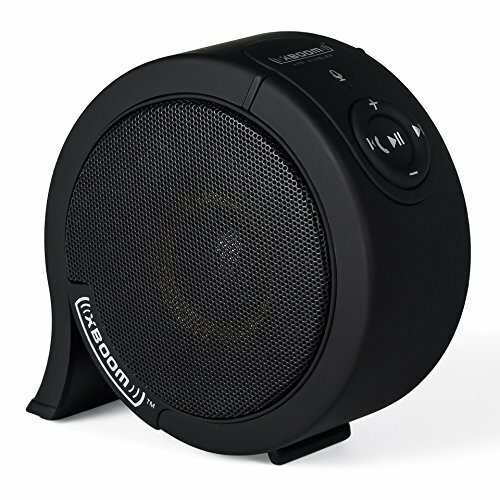 The AmazonBasics Wireless Mini Speaker is a ruggedly-designed speaker with a dimension of 3.3 x 3.3 x 1.8 inches. You can snug it right in your pocket, so you’re always ready for some good music when you want to. There’s a carabineer clip you can use to attach it to your bag or pants. The exterior is rubberized to keep it safe from bumps. It has an IP67 rating, meaning it’s resilient from shock, dust, and water. Enjoy listening to it outdoors or just chill with it, indoors. 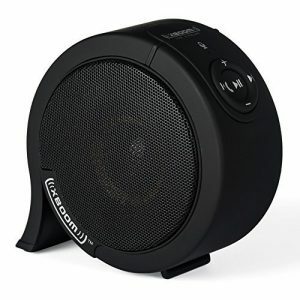 Enjoy a high definition sound with this mini wireless speaker without having the need for wires. It comes with a Bluetooth connection where you can instantly pair your chosen audio source. The rechargeable battery can keep you entertained for 12 hours if it’s on a full charge. Worry about the sound quality because of its size? We’re telling you, it’s no issue. It delivers an excellent audio production loud enough for a mini speaker. The clear sound comes from the 3-watt audio driver. Enjoy bass-heavy tracks since it has a built-in subwoofer. It won’t be so bad to keep this wireless speaker in your pocket. The XBOOM Mini wireless Bluetooth speaker is a pocket-size speaker with a dimension of 3.1 x 3.1 x 1.5 inches. That size won’t be a trouble fitting in your pocket! It has a wide variety of bright colors that you can choose. The design ranges from black to yellow and everything in between. It’s available in 10 different colors. 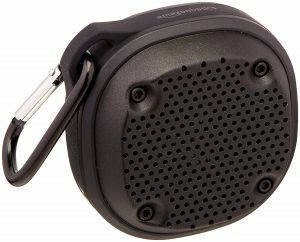 Just like all other speakers in this article, it has an aluminum carabineer clip included in the package. You can use the clip if you want to hang it somewhere. Bring it anywhere or just place it in your room and play wireless music with its Bluetooth connection with an operational range of 33 feet. The rechargeable battery makes it ultra-portable as it gives off more than 8 hours of continuous music session. Music is surprisingly amazing with this wireless speaker. It offers a 360-degree high definition audio production so you can enjoy listening to your favorite songs or if you’re watching a movie using your smartphone. Even bass-heavy songs are played so well with this wireless speaker since it’s also equipped with enhanced bass expansion system. So that’s our list of small wireless speakers that can easily fit in your pocket but won’t compromise your music satisfaction. Keep a happy pocket ready for any music with these small wireless speakers!